This is a fairly easy craft – and if you love Halloween and want to celebrate it all year this is a must to transform your Halloween items into springoween delights! I thought I’d share what I did with some of my decorative Halloween buckets to help inspire your springoween decorating. Valloween has come and passed, and Halloween seems so far away. But fear not spooky friends, because this time in-between seasons has me feeling nostalgic and looking back on my past blog posts. I figured now would be a great time to revisit some of my favorite posts, recipes and DIYs to keep the spirit of Halloween alive during this chilly and bleak transition into spring. Valloween is a new holiday created by Halloween lovers for other Halloween lovers who believe the Halloween spirit should exist 365 days a year! I hope you’ll celebrate Valloween with us! 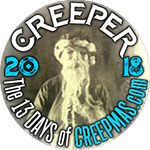 In today’s post, I’ll be sharing some of my fellow Samhain Society member’s Valloween ideas, inspirations, recipes and more so that you have PLENTY to do to make Valentines day creepy and weird, as it should be. I am writing this post while jamming out to Spooky Little Halloween’s Creepy Love Song playlist which is AMAZING. She gets me and my music taste. If you need eerie playlists year-round, she’s your expert creepy music curator (Music inspires the heck out of me, just like Halloween! Spooky Little Halloween also blogs about music at the Good Groupie – check it out!). Now let’s dive into some of the most magical Valloween things happening on the internet! The time of year where love is in the air is fast approaching – but who says that love can’t be a little scary? For those of us who live with Halloween in our heads and hearts all year, we take this holiday and add in some spooky flair and we celebrate VALLOWEEN! I’m excited to share some fun Valloween ideas, crafts and treats with you in the coming weeks and wanted to kick off the festivities with some DIY Valloween home decor – the perfect Valloween wreath! Happy Winter Solstice Halloween friends! I can’t believe we’re days away from Christmas and a new year. I hope that you have had a splendid 2018 and that luck and fortune will be with you in 2019! Speaking of luck…did you know, based on Ukrainian and Germanic folklore, a spider ornament on your Christmas tree will bring you good luck? The legend of the Christmas spider is also said to have been the story that inspired the popular decorating trend of draping silvery tinsel on the tree. There is an ongoing superstition in Europe that spiders bring good luck – and the Christmas spider legend tells of a widowed mother living in poverty with her children. The children find a pine cone and tend to it with hopes that a tree will sprout in time for Christmas (which it did!). Once Christmas came, they could still not afford to decorate the tree. After the children fell asleep on Christmas, a spider is said to have spun a glittering web around the tree so that when the light hit it in the morning it shone and turned the web into gold and silver – quite a sight to behold. The family was overjoyed and also were no longer living in poverty from that point on. Get ready to deck your halls with something frightful – like this wreath! The entire time I was working on this easy DIY I could not stop singing “Making Christmas” – the musical number really adds a lot of authenticity to your work! I broke my Christmas wreath last year accidentally, and I wanted a hint of spookiness to live on in my holiday decor, and Tim Burton’s “Nightmare Before Christmas” marries both spooky and Christmas perfectly. My 2018 Monster Mash Bash! This year’s Monster Mash Bash was a hit and a scary good time was had by all! I appreciated everyone’s compliments towards my creepy castle – some guests assumed it was just to liven up the party but I had to divulge, this creepy castle gets creeped out on Sept. 1 every year. The only way I know to enjoy Halloween decor and hoarding habits is to display it sooner and longer! Keep reading to see some photos of my guests and their costumes and to get some inspiration for your upcoming or next Halloween shindig.